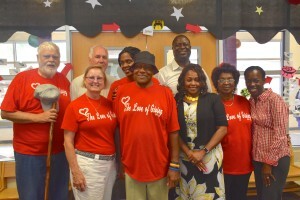 Volunteers of the Love of Giving deliver school supplies to Indian Creek Elementary School. A new school year is here, and as always, it begins with smiling faces, eager minds, and shiny new school supplies. But, for one particular DeKalb County School District (DCSD) elementary school, those school supplies entered the building before the first student crossed the threshold into the 2017-2018 school year. On August 3, Indian Creek Elementary School opened its doors to boxes upon boxes of crayons, pencils, notebooks, scissors, rulers, and so much more. Donated and delivered by leaders and volunteers of The Love of Giving organization, these items were ready and waiting for the opening bell on August 7. For additional event photos, please visit our Flickr page.